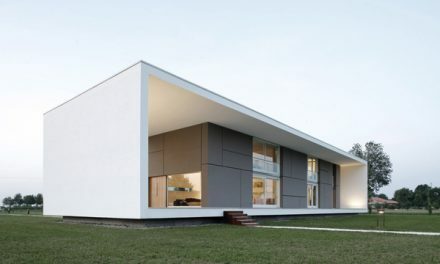 Minimalist, practical, and one with nature. 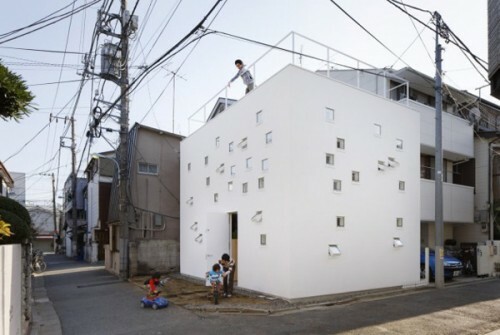 The architects from the Takeshi Hosaka firm has truly captured the essence of Japanese Design when they came up with this unique residential structure. Located within a heavily populated area along two narrow roads, you’ll never miss to stare and just wonder what exactly it is you’re looking at. 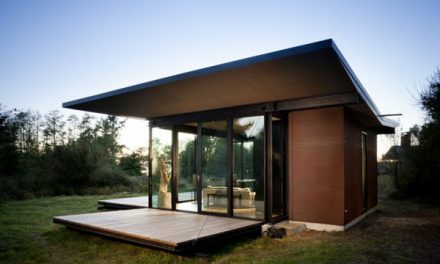 The “box” theme is carried out not just in the shape but as a concept from exterior to the interior areas of the house. Inside the house are three rooms, the 2nd floor is entirely one big room and the other two smaller rooms are found on the first floor which is also considered as the main floor. The architects also made sure that they utilized the rooftop by assigning it as a patio, creating bigger and usable space. 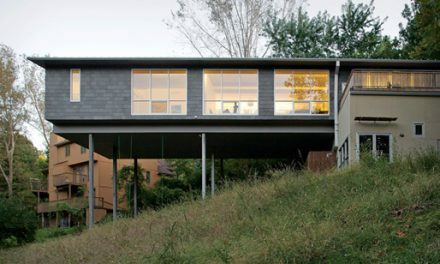 Although the first thing that will truly capture any passer-by’s attention would be the overall structure, another feature that makes this contemporary house intriguing is the details brought about by the windows. This structure is just filled with them. From the ceiling to the walls, almost every existing surface of the structure has a window built into it. 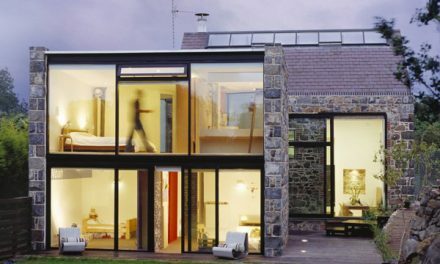 A traditionalist would find these windows either overpowering or out of place.However, when you look closer you will see that the reason behind the peculiar arrangement of windows is also one of the reasons why the interior of the house feels livable all the more for the homeowners. The inspiration behind this concept is the homeowners, particularly the parents who are hearing-impaired. The windows allow them to communicate easily with their two children even when they are in different rooms or different floors. That’s not all, these windows also give more color and a sense of freshness to the house. 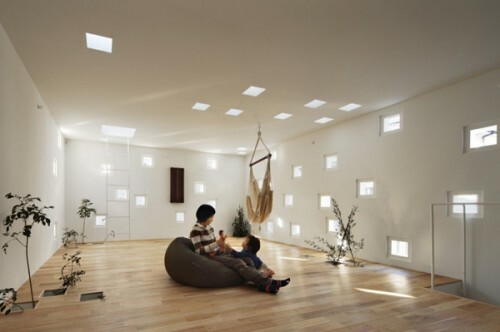 Giving way to natural light is one of the best things that windows do for our homes. 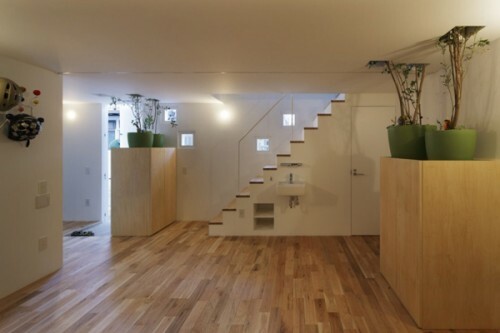 The architects have positioned them in a way to feed light the to live plants that were given room to grow within spaces in the floors of the house. Japanese are known for their love and respect of nature. Because of this design, the homeowners are given the privilege to have a modern version of the famous Japanese garden even if they live in a suburban area. From my point of view, I see a successful collaboration of Japanese tradition and modern architecture giving birth to the new trend of homes among the Japanese or even around the world. It is good to live in a home that is up to date with the trend, at the same time living in one that reminds you of your roots!